Puppets, murals, hats, masks and collages can be more exciting than ever with these design papers! 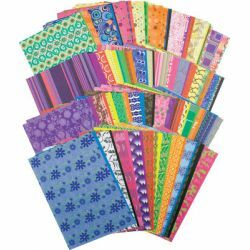 Colorful patterned papers are great for cut and fold collage. 64 unique patterns in eight color schemes.